Tudor Group has 22 years experience in the construction industry, both in England, Germany and now Thailand.The current project under development is the CUBE Condominium in Pattaya which is located right next door to Tudor Court, an already completed project by the Tudor Group. Our aim is to provide units of European Standard giving our customers a higher standard of living. Insulated or cavity walls we believe are a must for this, giving a quietness not possible with normal construction. Large floor plans, middle range price, top shelf quality and developer lead financing make the CUBE Condo in Pattaya arguably one of the easiest condos to buy on Pratumnak Hill right now. 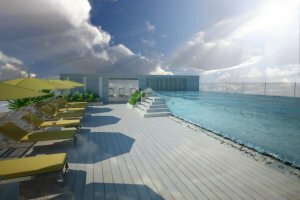 The CUBE Condo is perfect for the owner who wishes to occupy the unit, however, for those looking at good properties for earning rental income the CUBE Pattaya has one of the most attractive rental guarantee programs in Pattaya. With ROI's as high as 12% with as little as 1 MB initial investment, and the balance available on the developer lead financing for a full 15 years, at a lower interest rate than most banks. We also believe the bits you don't see are also important with earthed electrics, well designed waste pipes and the correct water pipes being just a few cases of the extra effort we make. By building to the highest standards not only do our customers enjoy their "living" now but also for many years to come. Simon Ditchburn, the managing director of Tudor Group Thailand has 31 years experience building condominiums across two continents. He is not some business man who thought a condo would be a good way to make some money, he is a legitimate builder who has a passion for his craft. He will take you through the entire process of the building of a condominium through the construction updates for the CUBE. Watch as each floor gets built on top of the next. The combination of European style, with Thai ingenuity, and the use of the most cutting edge construction practices to bring you a premier boutique building for standard pricing. 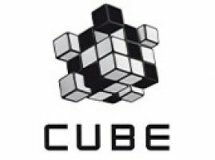 The developers of the CUBE are not a huge name, they focus heavily on quality, and have far less overhead than some of the larger builders. What you get for the money with the CUBE condo is second to none. Tour our showroom daily at the Tudor Court, where you can see a 1 bedroom model with all the finish choices, and get an idea of just how high quality the materials being used are.